London: Rohit Sharma will be back in his familiar opening position with an aim to get some quality batting practice when India take on Bangladesh in their final warm-up game before the Champions Trophy opener against Pakistan. After a convincing 45-run victory against New Zealand in a rain-curtailed opening warm-up match, Virat Kohli will pray that his batsmen get some more game time than the 26 overs they got the other day. 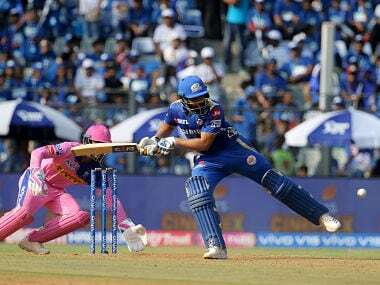 For Rohit, it will be back to the opening slot, having batted down the order during the better part of the Indian Premier League. He missed out on the first game as personal commitments led to him joining the squad on Saturday evening. It will be like a completion of cycle for Rohit, whose limited overs career was transformed by Mahendra Singh Dhoni's inspired decision to promote him up the order during India's successful Champions Trophy campaign in 2013. One of the biggest reasons for India's success was the Rohit-Shikhar Dhawan duo, which is again back to face the new ball in conditions, which will be pretty familiar to the one they encountered four years back. With Ajinkya Rahane failing as an opener in the first warm-up game, even the remotest thoughts of a change at the top, if there was one at all, will not be entertained by the team management. It is still not clear if Yuvraj Singh, recovering from a bout of viral fever will be available tomorrow or not. The veteran also needs some batting practice ahead of the Pakistan game. The skipper would also like to give Kedar Jadhav a chance to get a decent hit out there in the middle. Bangladesh has been a very decent side in 50-overs cricket. A testimony to that was their quarter-final finish during the 2015 World Cup in Australia and New Zealand. The pace quartet of Mustafizur Rahaman, Rubel Hossain, Taskin Ahmed and skipper Mashrafe Mortaza can prove to be more than a handful for any opposition on a given day. In fact, India lost an ODI away series against Bangladesh back in 2015 when Mustafizur was relatively new to international cricket. Facing them in real match time will mean good preparation ahead of the marquee clash against Pakistan, next Sunday. India's bowling attack however looked good against the Kiwis, bowling them out for 189. 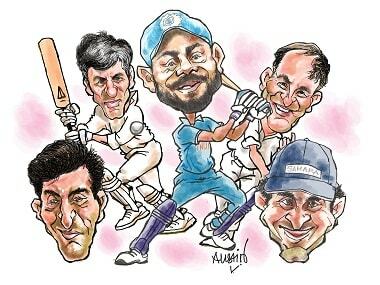 There are some 'happy problems' for skipper Kohli, who has three potent new ball options in Bhuvneshwar Kumar, Umesh Yadav and Mohammed Shami to choose from. The bulk of the death overs will be taken care by yorker specialist Jasprit Bumrah. 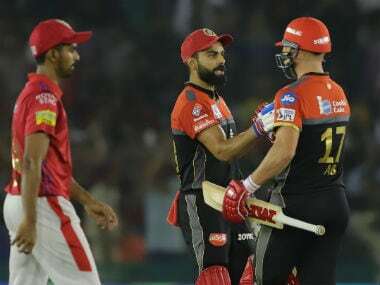 The other issue that Kohli needs to address is his lead spinner in the attack. Ravindra Jadeja's all-round abilities in the shorter format are more recognised than Ravichandran Ashwin, who has been a powerhouse performer for India in Test cricket. 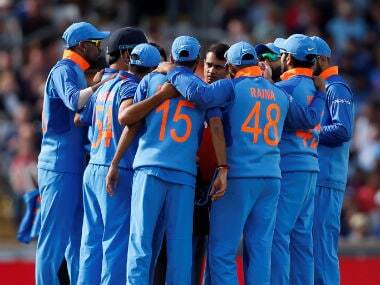 The second match will give a fair idea of what exactly will be India's playing XI going into the opening fixture.